As I mentioned last week, I'm trying to limit myself to one ALDI trip per week. And I thought I'd be able to do that this week. 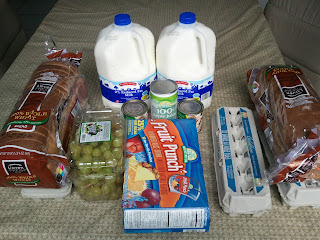 I made a trip a couple of days ago and picked up the basics - milk, eggs, juice, and bread. And I thought I was done for the week! But then, my plans to buy cream cheese at Publix went awry. The sneak peek ad showed that the Publix brand cream cheese would be 99¢ for an 8-oz brick, 20 cents cheaper than ALDI's regular price of $1.19. So even though I was out of cream cheese, I decided to wait to buy it at the lower price. But when I got my local ad and posted my Best South Florida Publix Deals post, I found that my local price for the Publix cream cheese was $1.50 - 31 cents higher! And I was glad I did, because I found some good produce deals there this week! 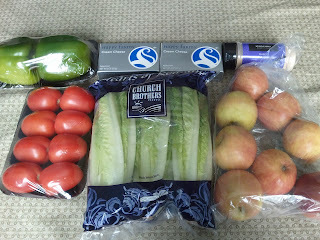 I bought romaine lettuce, tomatoes, and peppers - so I didn't have to make a special trip to buy produce. You can't beat the price of the cream cheese at Aldi's. We were leery to try it, but it is remarkably good. The milk as well we live there at least once a week. Have you tried to make your own bread? Since bread is an arm and a leg and the taste doesn't compare [it is always stale anymore to me]. The bean idea sounded great, and why not have more meatless nights all for it! So much for so little! 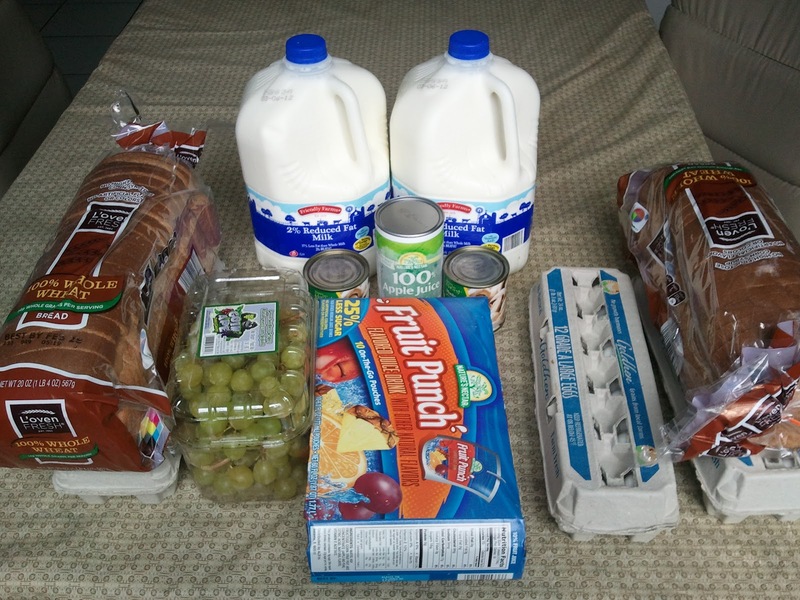 Aldi is a bit of a drive for us, so I have no problem only making one trip a week. I found $0.50 wheat bread at my Aldi, so I got 4 loaves! I personally only go once a week, but my husband works two blocks from another Aldi store, and I always seem to forget something, so I think I have him stop in about once a week too. I wasn't going to go anymore this month - I went over our Feb. monthly budget by a little but the deals on produce were too great! I am just taking it out of the month of march since it is soon!